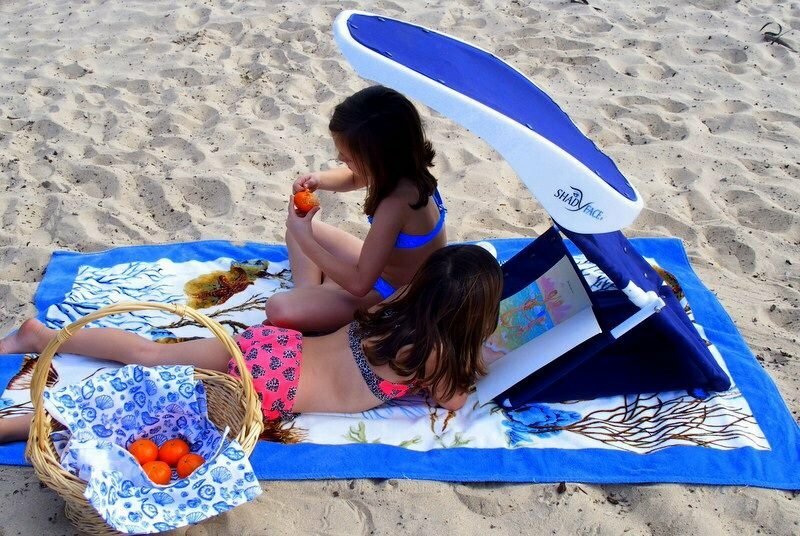 The perfect outdoor electronics companion is finally here, in the form of a portable sun shade. 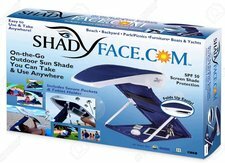 The ShadyFace Sunshade makes going to the beach, cruising on a boat, and hanging out at the park convenient for all media devices. Its lightweight, compact design makes transportation a breeze, plus its patented swivel is the first of its kind to allow the user total control of the amount of shade desired. 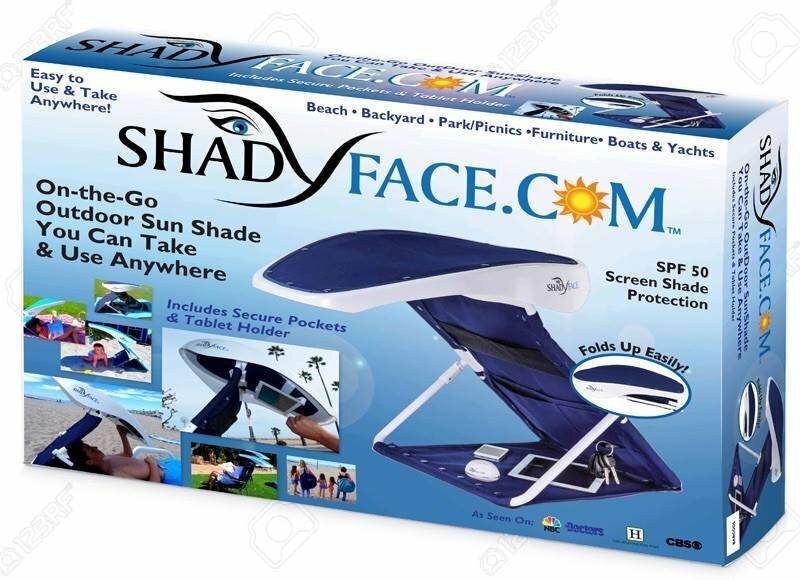 Able to be secured in any environment, the ShadyFace Sunshade offers ample storage and bluetooth speakers to further enhance the user’s experience while being out in the sun. The patented swivel option allows the user the unique opportunity to gauge just how much or little sun they prefer, no matter the time of day. Children can take a break from the rays and watch a movie completely shaded without having to leave the outdoors. The user can answer emails, read digital books, and even browse social media easily. Keep keys, sunscreen, magazines, and snacks in the velcro pockets for quick access and safekeeping. Folding flat enough for every airline to consider it a suitable carry on, the ShadyFace Sunshade can be worn as a backpack or tote bag for further ease while traveling. This product has also gone through extensive ultraviolet testing and scored at excellent levels. Dermatologists are backing this sunshade right and left, saying it’s much preferred over traditional shades such as umbrellas and awnings. 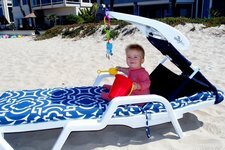 Especially great while on a yacht or boat, the shade can be secured while cruising the open seas. The bluetooth speaker allows the user to enjoy music or take a call wirelessly while being outdoors. Compared to JBL and Bose brands, the quality of sound is on par, and the lightweight speaker design doesn’t weigh down the shade. Fully charged in two hours, the speakers offer over twelve hours of sound, plus can be reached up to 32 feet by an enabled device. 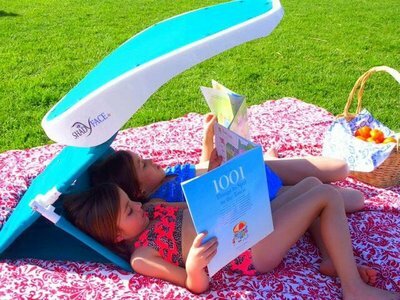 Created out of the need to find shade while in Hawaii, inventor Patricia Darquea wanted a product that offered convenient shade at the beach. Finding nothing on the market that met her requirements, she set out to make one herself. 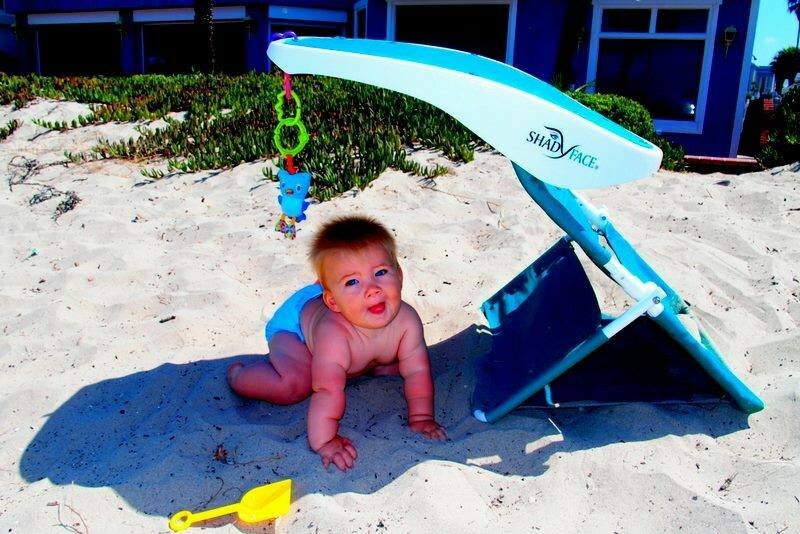 The ShadyFace Sunshade soon grew to provide shade not only while at the beach, but for many other sunny locations as well.